Winter Reading: The Revolution of Marina M.
The Revolution of Marina M. is an 816 page book filled with heart-wrenching tales of a girl finding her way through the hardships of life. I usually don’t enjoy books like this one because following a character through a large period of time is not easy to narrate for most authors. These books cannot keep the attention of the reader, or fail to make each part of the protagonist’s life believable; whether it be from the lack of dimensional characters or not enough descriptions of the settings. 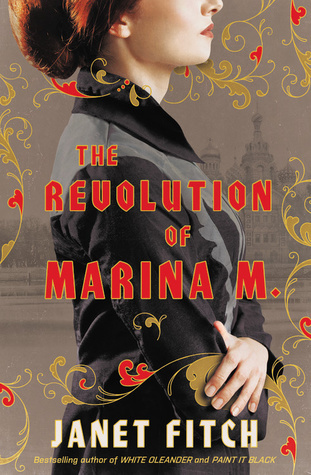 However, The Revolution of Marina M. is able to keep the reader focused on Marina’s journey. The novel is very well researched and does not strongly feature a love interest, showcasing a new side of historical fiction that I had not previously read. Additionally, the writing was engaging and descriptive. Unfortunately, the book was a little slow to get into as the novel is slowly building itself up. Overall, The Revolution of Marina M. is a 4.5 star read, and one that I highly recommend, especially if you want to try something new! Thank you to Netgalley and Little, Brown and Company for providing an ARC in exchange for an honest review!